The healing powers of Latin America make it a top destination for transformative travel. 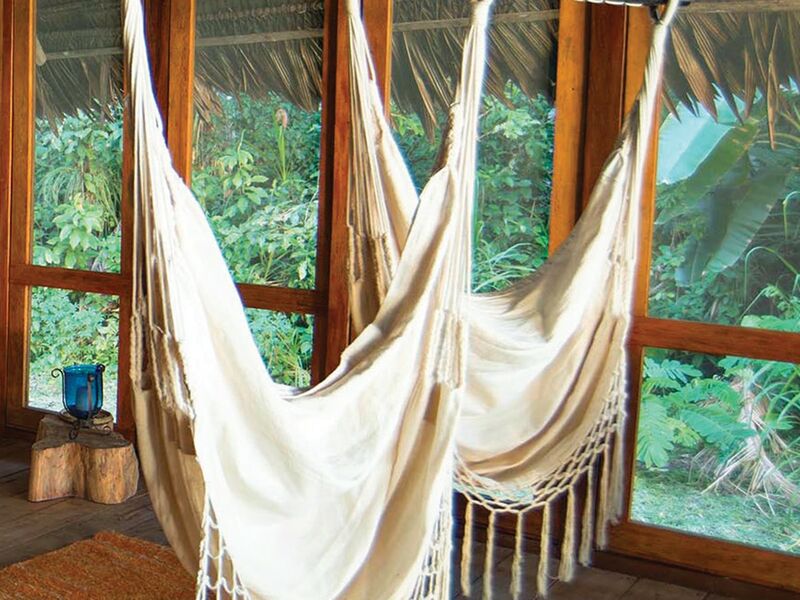 From a hideaway in the Amazonian jungle to a secluded island off the coast of Mexico, these are Latin America’s top wellness retreats. They are sanctuaries to escape to and thermal waters to be transformed by. In their simplicity, soulfulness and connection with nature, they offer the type of vacation where real change just might be possible. If the idea of a three-day weekend spent detoxing and exercising makes you cringe, then Argentina has you covered. 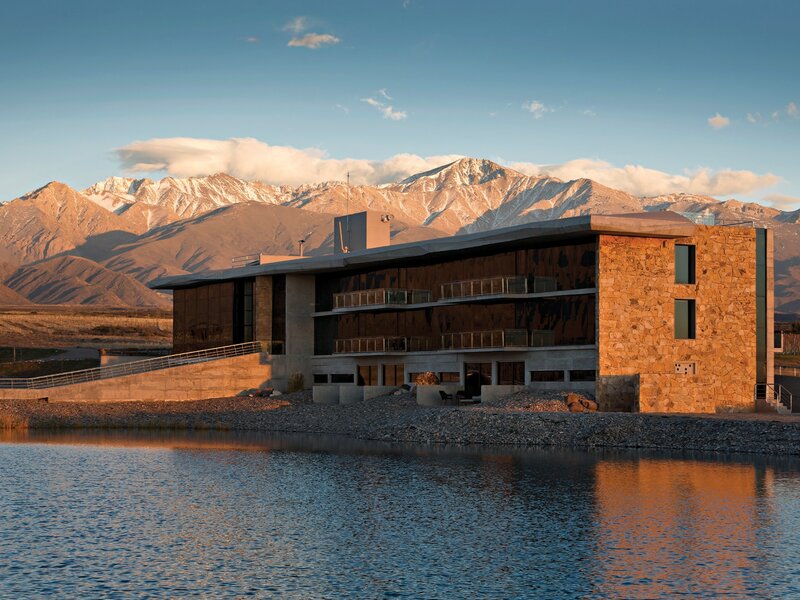 Nestled in a private vineyard in Mendoza’s Uco Valley, just at the foothills of the Andes Mountains, think of Casa de Uco Resort as a bon vivant lifestyle retreat that revels in the richness of the land. A haven for wine connoisseurs, it offers several programs throughout the year, all with one common denominator: wine and gastronomy, from its Adventure & Wine Program, which combines horseback riding and trekking excursions with idyllic picnics and romantic dinners, to its Wine & Relax program (think vinotherapy treatments and traditional Argentine asados). And if you’re looking for something truly local, book a room during harvest season (February 15 to April 30) when one can literally get hand and foot deep in the entire winemaking process. 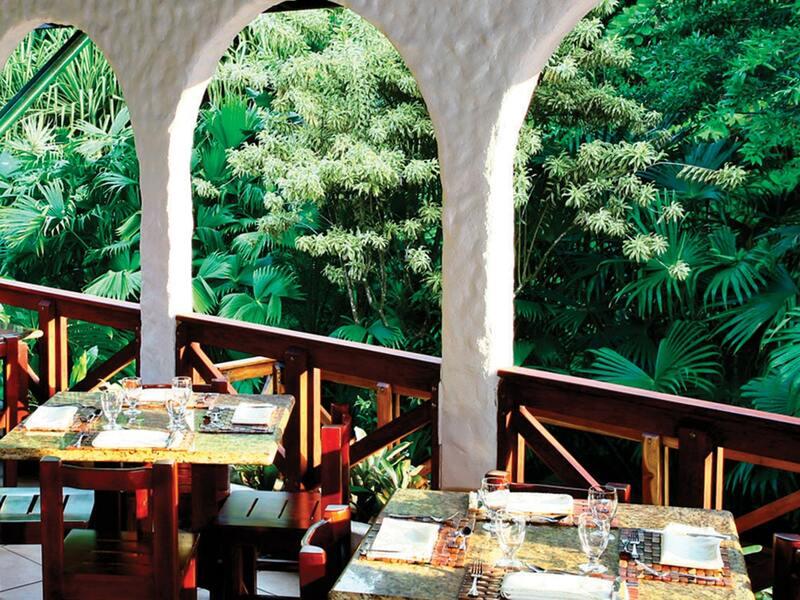 “Pura vida”—if these two words sum up the essence of Costa Rican culture, then Tabacón Thermal Resort and Spa is its pure embodiment. Tucked away in the rainforest, at the base of the Arenal volcano, the hotel has exclusive access to the largest natural network of thermal mineral springs, which are not only heated by the volcano’s magma, but are also mineral-rich with silica, calcium and lithium, all of which offer the stress relief and relaxation guests come desperately seeking, and 100 percent provided by nature. It doesn’t get more sustainable than this, and as an added bonus, its Shangri-La Gardens, with six natural pools atop the thermal springs (the steamiest part), equipped with a bar and cabanas, is the epitome of natural luxury. While activities such as zip lining, horseback riding or rappelling are available, chances are you won’t want to pry yourself from these luscious premises. Escaping to the island of Holbox is not your average retreat, meaning there aren’t special programs or spas in place to help you unwind. Tourism here relies on the beauty and simplicity of nature. While the trek to arrive requires a flight, car drive and ferry ride, relaxation is almost immediate upon arrival given it is one of the rare travel destinations on the North American continent with true disconnection from technology. The recently inaugurated Hotel Punta Caliza, among the handful of boutique hotels on the island, is an oasis for aesthetes in search of authentic luxury experiences. 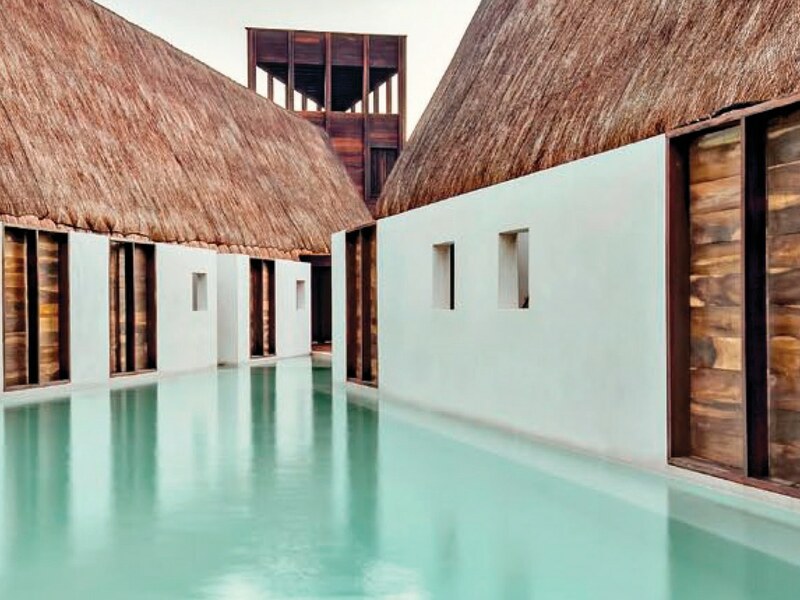 The hotel is a platform for Mexican design, created with 100 percent national resources and materials, and decorated by local artisans and designers. Its claim to fame? Whale shark season (mid-May through mid-September). Yes, you can swim with them, and no, they are not dangerous, but not to fret if that isn’t your thing; you’re bound to encounter impromptu, up close and personal experiences with other animals, such as flamingos, at some point during your stay. Looking to disappear completely off the grid? The Colombian Amazon jungle is your surest bet. While it’s not a plan for the weak-hearted, the Calanoa Amazonas Hotel is a hidden gem for the more adventurous cosmopolites. Exclusively situated between the Amacayacu National Park and Mocagua Island, guests can take their pick from a variety of experiences involving diverse flora and fauna, river or lake excursions, and endless forest strolls, yet the most original experiences this particular destination has to offer are its artistic workshops, or talleres. This project, imagined by Marlene and Diego Samper, is dedicated to the region’s conservation through programs that integrate art, design and architecture, and they’ve concocted a series of talleres, from photography to art and fiber workshops, which allow you to discover and experiment with local materials and techniques, so you can pick up a new skill while disconnecting from your day job.